Custom Flags for Brand Promotion. Custom football Flags for your team. 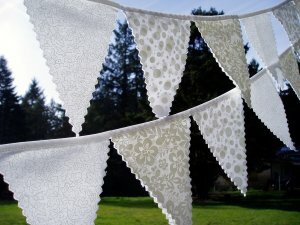 Stock Bunting for Festivals and Celebrations. Personalised Happy Birthday Bunting World Flags Bunting, World Cup Flags Bunting. White Bunting Flags, Red and White Bunting, Blue and White Bunting. A 100% UK bunting manufacturer and supplier of bespoke bunting and stock bunting for special events, weddings and festivals. We offer a wide range of stock bunting flags and bespoke personalised bunting flags available in different sizes, colours and shapes to meet your requirement. We have a highly efficient and creative in-house design team that can design and print buntings to your custom requirements at no additional cost, and the in-house state of the art production assures fast 72 hours delivery. As a leading UK bunting supplier, we guarantee that our bunting flags will make your event memorable. Be it a family or personal event, a business event or a charity event we have bunting flags that are suitable for your event. If you haven't pre-planned your upcoming event and it's now knocking at your door, you can choose from our wide range of stock bunting flags which are available in different sizes and shapes. A conventional yet timeless beautification, bunting is a happy addition to any gathering.If you host a game party for your friends to watch a big local or international match then Bunting Flags are must. Decorate your place with bunting flags representing your favourite team,for additional luck. You can use bunting flags that represent different countries or regions to add a cosmopolitan flavour to your party. Bunting is a form of decoration that originated with an old form of thin fabric composed of a light-wight parallel weave wool fabric called buntine or tammy, which was once used by the British Royal Navy in the 17th century to make flags for their ships. Bunting was originally a form of communication between ships as signalling flags rather than a decoration. It's extremely light weight, which allowed it to wave elegantly in the wind, and high glaze, which made it strong and bold, were the key properties that made it very useful in the manufacture of flags and ribbons during the period. Earlier forms of the signalling bunting were known in Europe from the time of the Crusades, and perhaps even ancient China. The most famous message sent using traditional bunting was from Admiral Nelson at the helm of the HMS Victory during the Battle of Trafalgar: 'England expects every man to do his duty.' Today, bunting is used to describe form of decorative ornamentation meant to resemble decorative flags or other shapes, although today they are more usually be composed of other materials such as polyester, nylon, plastic, paper or even cardboard. 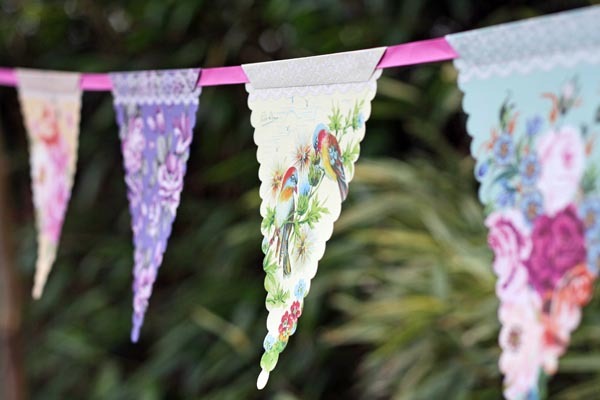 Bunting comes in a wide variety of shapes and designs, including but not limited to miniature flags, pennants, pleated fans, rolls, rugs, sticks, table skirts and towels. They are often used as draperies, banners or streamers during festive events, special occasions and national holidays, where they are hung from doorways, windows, railings, decks and even rooftops. They can come in both plain and patterned designs, even featuring words, pictures or floral prints. Modern decorative bunting can be seen in many occasions in today's world, maybe even more than most people realize. Bunting has a festive, exciting look that brings fun and holidays to mind and gets people in the mood to have a good time. To see bunting set up indicates to everyone who can see it that there is something special and exciting under way, and it quickly draws the eye of passers-by. While it is all too often over-looked in favor of other, more gaudy, forms of decoration, it nevertheless plays an important and key peripheral role in tying an event together. And when the event is over, there is no reason you can't leave the bunting up for the rest of the year, adding some cheerful color to your home or business. In the United Kingdom and many parts of Europe, bunting is seen as a necessity for street parties, strung up between lamp-posts and other poles while people celebrate in the street. Meanwhile in the United States, bunting often has a patriotic connotation, with the bunting proudly colored in red, white and blue or with American flag or eagle designs being displayed from porches, decks and railings on important national holidays such as Independence Day. In other countries, bunting can be used in this same way to bolster national pride, for example, black, red and gold for Germany and green, white and orange for Ireland. Colored bunting need not only represent national colors, though, as you can use bunting of specific colors to celebrate a favorite sports team, a company and even a school. Sports parties, in particular, make common and enthusiastic use of bunting to show off the team spirit of the fans and participants in attendance. Colorful and festive bunting is a form of decoration that is traditional but also timeless, and can quickly transform a party or event into something special, whether it is being held indoors or outside. Bunting is often commonly used at weddings, particularly outdoor weddings, as well as other special events such as graduations and parties. Bunting has also found use in the corporate world. It can be commonly seen at exhibitions, trade shows and conventions to indicate a unique and exciting event is happening, and also as a subtle form of advertising.. It can be used to inaugurate the launch of a new store or franchise, or a new product. It can even be used to announce the beginning of a big sale season or large discounts. The fact that most of us associate bunting with excitement and fun make it an easy choice for business owners to use bunting to draw in customers and show off their cheerful spirit. When choosing bunting, it is not only important to choose the right design but also the right material. Paper bunting is cheap, light-weight and resembles fabric, but it is not waterproof and rarely lasts longer than a couple of days of use. Well made fabric or plastic bunting, while often more expensive, is a better choice if you are going to be using the same bunting continuously over several years. For a child's birthday party or one-off event, it is likely best to choose paper bunting, but for corporate use or to advertise a business, it looks more professional and lasts longer to use bunting from good-quality fabric or glossy plastic. Regardless of what you decide choose, bunting is both fun and extremely affordable and can even be made at home as a side project for families with children, as well as those who simply have a creative streak. A wide variety of bunting templates and designs can be easily found on the internet. You can use bunting as a home decoration, perhaps as a way of adding life to your living room or to decorate your children's bedrooms. For those who prefer to buy ready-made bunting can easily find it for sale both online and at specialty stores. Many providers of bunting and similar products will even be willing to personalize your bunting in whatever colors, designs or materials you desire. It is often possible to get discounts and special deals on large orders of bunting, especially for corporate clients or large events. Bunting is a popular and archetypal choice for event decoration, and it is rarely inappropriate for any special event. For your next big party, corporate event, trade exposition, convention, sports day or wedding, remember to choose the right kind of bunting to make it truly special. The term "Bunting" which is widely used today may be defined as a party or special occasion decoration that is made of either cloth or paper or plastic materials cut into triangular shapes and strung together.Different sizes and shapes of these bunting flags are also available in the market. 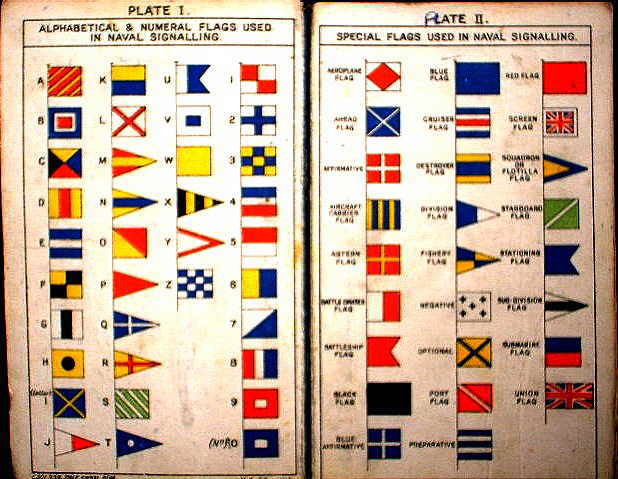 Historically these bunting flags have a different meaning.In earlier days of naval operations the flags used by the officers to send different coded signals were called a "Bunt". This term is still in use in naval communications. Historically Bunting is a middle english word for a worsted woolen fabric that used to have a good colour retention and longevity and was used as naval signal flags for years, This fabric was the chosen one for flags of the British Navy because of it being a worsted parallel weave thin fabric, being light weight and parallel woven, flags made of this fabric would catch the breeze gracefully in the traditional undulation motion associated with a flying flag. Today the word bunting has taken on a much more generic form used to describe decorative flags and chains of flags that is meant to look like ornamental versions of the original signal bunting (although the material of choice today is synthetic paper over fabric for ease of storage and cleaning). The most common forms of bunting is strings of brightly colored plastic or synthetic paper triangles that flap in the breeze. Absolute Bunting, a 100% UK bunting manufacturer and supplier of bespoke bunting and stock bunting for special events, weddings and festivals. We offer a wide range of stock bunting flags and bespoke personalised bunting flags available in different sizes, colours and shapes to meet your requirement. We have a highly efficient and creative design team that can design and print buntings to your custom requirements at no additional cost, and the in-house state of the art production assures fast 72 hours delivery. Be it a family or personal event, a business event or a charity event we have bunting flags that are suitable for your event. If you haven't pre-planned your upcoming event and it's now knocking at your door, you can choose from our wide range of stock bunting flags which are available in different sizes and shapes. Absolute Bunting is a full service Bunting Supplier with the widest range of stock bunting and bespoke solution for your personalised bunting requirements. This is when you realize the importance of bunting flags and how they can transform a mundane boring event to a special, bright, happy event that people would remember for the extra effort that they see in your effort to make it more memorable. In most cases you'd find yourself now earnestly requiring the best bespoke bunting flags you can, but too short of time and ideas to fulfill your own or loved ones or professional demand for those absolute bunting flags that you now know will make your event be remembered for the event bunting flags you could have! But do not despair, there is still some option left, and Scyphus is here to rescue you, the Absolute Bunting brand is your answer to your personalised bunting flag requirement and even if its too late our stock bunting flags are of such diverse styles that you would find them to be able to cover your back for the late decision and remind you to order your bespoke bunting flags upfront before your next event. Our bunting is manufactured here in the UK to exacting standards, using only British sourced materials, so the final product is 100% British made, something we are very proud of. The company owners are very much involved in running the day to day business, which has been driving the company forward since its inception. It was with their ideas and support from a team of dedicated and skilled employees, that has made Absolute Bunting what it is today. It won’t be an overstatement to say that the popularity and product quality, that has helped pave the way to our on going success in the bunting market. 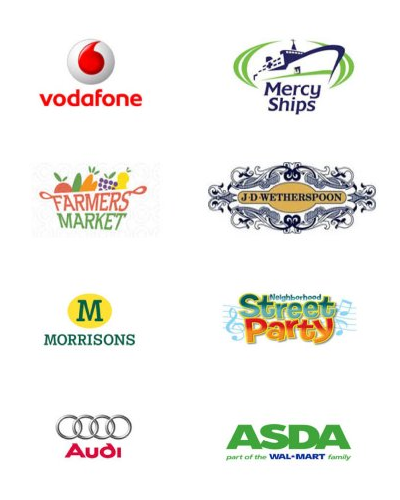 •A list of satisfied and regular customers, including Morrisons, Disney, Vodaphone and Sainsbury’s. •Impressive market share in promotional bunting designs for the UK corporate section. •More than 20 years’ experience of every relevant aspect of bunting manufacturing. •State-of-the-art manufacturing facility with convenient access to all parts of UK. •High-end quality control to meet the supreme standards. Scyphus Bunting is a full service Bunting Supplier with the widest range of stock bunting and bespoke solution for your personalised bunting requirements.